Travelling the East Coast of Australia is one of the most popular backpacker routes in the world – it’s packed full of incredible destinations, activities and Aussie goodness and there’s heaps to pack into an Australia itinerary! But the stretch between Sydney and Cairns is MASSIVE – over 2,000km in total if you’re busing it up the coast – so figuring out where to stop, what to do and how to piece it all together can be a bit of a logistical nightmare, picking the best places to visit in Australia is a tough task!! 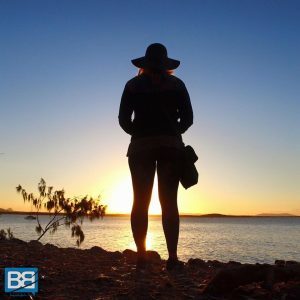 Having spent heaps of time in Australia (I’m currently based in Byron Bay) and having completed the route 3 times now it’s safe to say I’ve got some experience on how to travel around Australia and how to make the most of your time! So how would I spend a month in Australia? 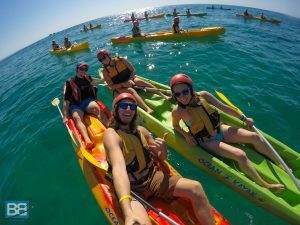 Well if you’re planning an adventure on the East Coast here’s a sample Australia itinerary to get you started – from where to stop to the best Fraser Island tours and best Whitsundays tours. Given the fact that Greyhound Bus Passes are the most popular way to tackle this route I’ve also put in some info about the overnight buses you can use to link everything together too. The perfect place to start your Australia itinerary – kicking back in the iconic city of Sydney! Chill on Bondi Beach, take a wander to the famous Opera House and Circular Key, stroll around the incredible coastal footpaths and take the ferry to Manly Beach. One of my favourite places in Australia and probably one of the most overlooked towns on the East Coast Trail. Stay with Shane and Justin at the Yamba YHA, join one of their group surf trips or Shanes famous Yamba tour. Good vibes all round! If you have some more time to play with they now offer a Yamba Surf Camp too – so go hit the waves! If you’ve been following my adventures for a while you already know this is one of my favourite places on the planet! 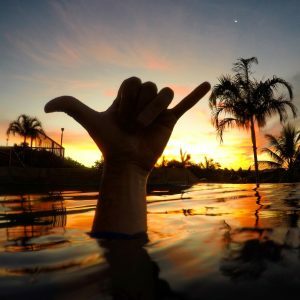 Kick back in the Byron bubble for a few days – go kayaking with dolphins, scuba dive at Julian Rocks, take a day trip to Nimbin, learn to surf or just wander up to Cape Byron Lighthouse and the most Easterly Point of Australia. Although I’m not a huge fan of Brisbane I know a lot of you like the glitz and glamour of the city so I’ve included it! It’s also a great base to head to Australia Zoo for the day or head out to Moreton Island for some incredible shipwreck snorkelling. Another great beachside town! 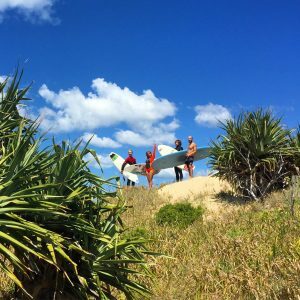 Explore Noosa National Park and spot koalas in the wild, tae some surf lessons and of course make sure you head out on a canoe tour through the Noosa Everglades. 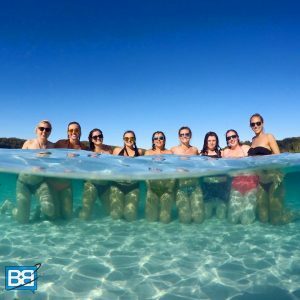 More great beaches and an awesome pre and post Fraser Island party vibe! One of the must do Australia bucket list items and my personal highlight of any Australia itinerary! Cruise along the beach in a 4×4, drive through incredible rainforest tracks and stop off at locations like Lake Mackenzie, the Maheno Shipwreck, Eli Creek and Champagne Pools. You could also do your Fraser Island tour from Noosa too if you prefer an overnight hostel option. Heaps of party vibes here pre and post Whitsundays Sailing! When you’re not sipping cold beers you can nurse your hangover in the free lagoon swimming pool, hire a kayak and explore the bay or even take a scenic flights over Heart Reef. Alongside Fraser Island this is one of the big to do’s in Australia. Sail amongst tropical islands, snorkel on the Souther End of the Great Barrier Reef, walk along the famous Whitehaven Beach and grab some postcard perfect shots from Hill Inlet Lookout. There’s a range of boats to choose from – whether you want to party on the infamous Atlantic Clipper, enjoy the awesome vibes of the Tongarra or enjoy a bit more luxury on board Powerplay. A great little island escape and the perfect spot to meet some incredible Aussie wildlife – including koalas and super friendly rock wallabies! You can grab a Magnetic Island Package deal for about $100, which includes your return ferry from Townville, accommodation, snorkel hire and even some meals. Read more about why I love Magnetic Island here. Time to get your adrenaline on the go! Mission Beach is the perfect base for white water rafting on the Tully River as well as being one of the most popular places to skydive in Australia as you get incredible views over the reef and land on the beach! The gateway to the Great Barrier Reef! 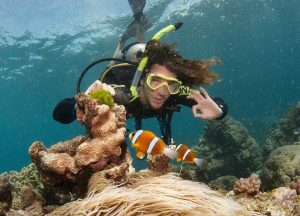 Head out on a day trip to the Great Barrier Reef or if you have longer complete your open water dive course there too, there are plenty of epic Great Barrier Reef tours to choose from! When you’re not on the ocean join the crew from AJ Hackett for some bungy jumping or take a day trip to Cape Tribulation or the Atherton Tablelands. Of course if you’re taking longer on the East Coast you can tailor this itinerary to suit your own time frame – add in some extra nights, some more trips or simply a few days chilling out by the beach! You could also do your Fraser Island trip from Noosa like I did with Nomads Fraser Island if you prefer a more flash packer option in an on island hostel rather than camping. If you wanted some more surfing fun (like myself!) you can also adapt the start of the trip to include a Sydney to Byron Bay Surf Trip with Mojo Surf, which is a great alternative to the overnight bus. Personally I’d say 4 weeks is the minimum amount of time you’d need to properly experience the East Coast without rushing it or spending too much time on buses. For more information on time frames check out my “East Coast Australia – How Long Should You Take” post. 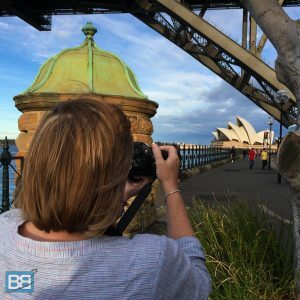 However if you do only have 3 weeks to play with – check out my Australia 3 week itinerary post. If you’re looking for the easiest way to get your East Coast Australia Itinerary all booked up and sorted I’ve teamed up with RTW Backpackers and you can book my sample itinerary as a complete package! It includes accommodation, heaps of day trips and of course my recommended Fraser Island and Whitsundays Tours! You can even book it all as an open dated Australia itinerary and spread it out over a longer period if you have more time to play with – the perfect opportunity to add in some more time in spots like Byron Bay, indulge in a surf camp or complete your open water dive course! Plus use the promo code BPB100 to save an additional $100AUD off the price!